From taking the chill out of cool morning bike rides to hiking to the summit of Quandary Peak, you need a versatile layer that works as hard as you do. The year-round Merino 150 baselayer short sleeve is up to the challenge thanks to the body temp regulating properties and breathability of Merino. Featuring Core Spun technology, we’ve wrapped Merino around a nylon core for added durability while still keeping the comfort of ultra-soft Merino next to skin. We added smooth flatlock seams to help minimize chafing and offset shoulder and side seams to lie smoothly beneath pack straps. Performs well on its own in warmer temps or layers up easily when cooler weather rolls in. 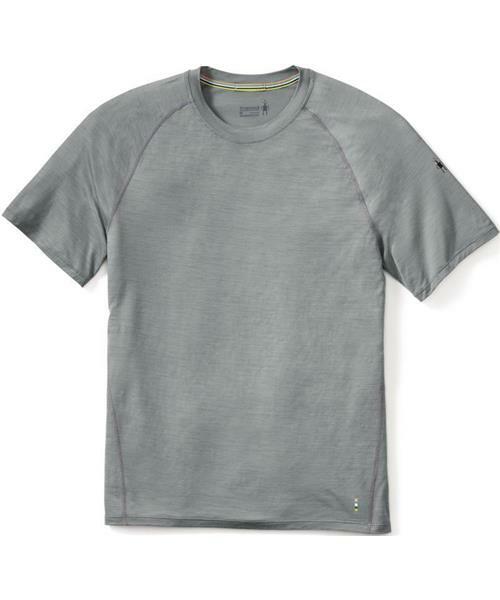 Merino 150 Baselayer Pattern SS - Mens is rated 2.0 out of 5 by 1. Rated 2 out of 5 by 00000 from Light weight, fits well Found this shirt gets rather smelly for multi day pack trips compared to others products.